Ableware universal cuff provides ease of holding utensils for individuals with little or no hand strength, and wraps around the hand to insert items (spoon not included). The cuff is versatile for holding eating utensils, toothbrushes, or other small items etc, and is adjustable to accommodate the user's condition and hand size.Pefect for patient and elderly etc. With velcro,you can according to your palm size to adjust suitable size. Versatile for holding eating utensils, toothbrushes, or other small items etc. 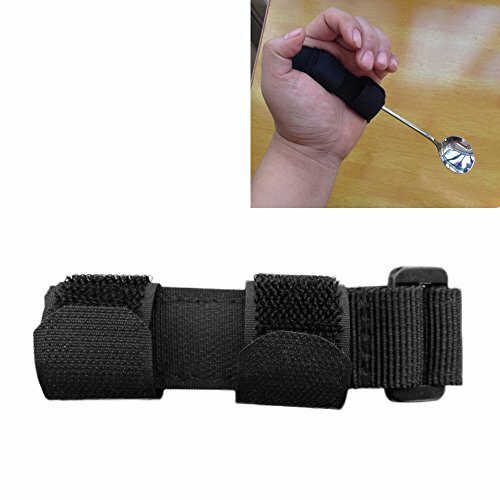 Ableware universal cuff provides ease of holding utensils for individuals with little or no hand strength, and wraps around the hand to insert items (spoon not included).